One 10-minute treatment, a few tiny injections, and within days there’s a noticeable improvement in moderate to severe frown lines between the brows, lasting up to 4 months. Laughter, sadness, anger and surprise – your face shows all of your emotions to the world. And a lifetime of emotions means your facial muscles have been put to the test, leading to wrinkles, crow’s feet, and laugh lines. All these signs of emotion can leave you looking older than your years – but thanks to today’s technology, we can significantly reduce their appearance on your face. With BOTOX® Cosmetic treatment, you will be able to see a visible improvement to the wrinkles on your face – and you’ll have smoother skin for up to four months. We administer small injections directly into the area you’d like to improve. If you have sensitive facial areas, we’ll be happy to apply an ice pack or anesthetic cream to the area we’ll be working on. 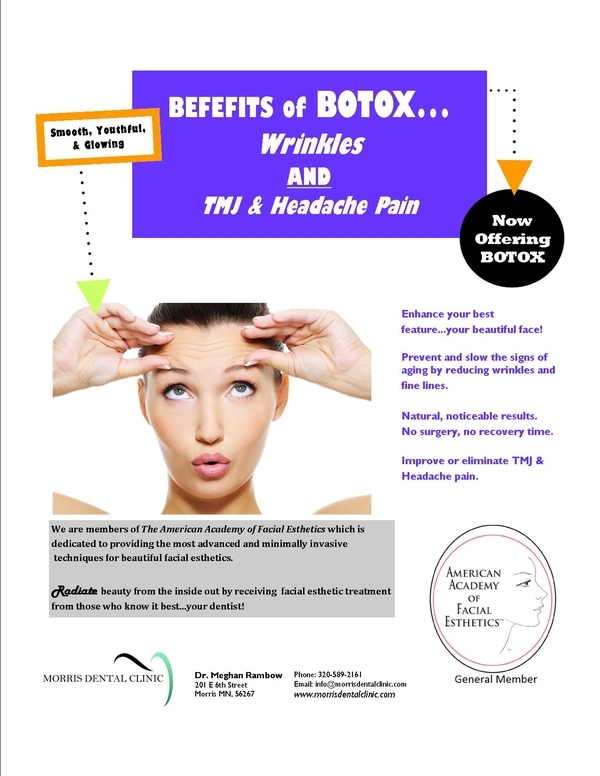 We welcome you to come in and talk about if BOTOX– Cosmetic treatment is right for you, and we’ll be glad to answer any and all of your questions.